Interested in trying rugby, but never picked up a ball before? Have a read of what our Treasurer, Rachael has to say about her first 2 years. Before the 2016 Rio Olympics, I didn’t know anything about women’s rugby, never mind that it was so much fun! I’ve always been quite sporty, but since moving to London I hadn’t quite settled into a routine and ended up focussing on the gym. After speaking to a friend, I decided to give it a go at the grand age of 27 and here I am two years later still loving it. 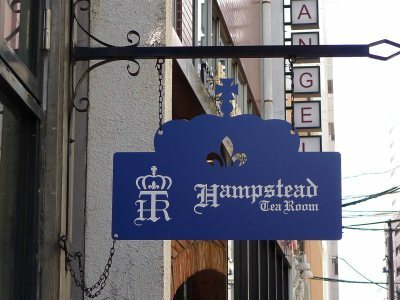 What has your experience of being at Hampstead Ladies been like? I rocked up at my first training session, super nervous and not knowing what to expect. I was made to feel immediately included and valued despite having never played before! If you have a positive attitude and are willing to get stuck in there’s a squad of 40 women stood with wide open arms ready to get you involved. The coaches are also more than happy to spend time with people who are keen to learn and are super encouraging of new players. Off the pitch, the social side has been amazing. My first ever rugby tour was certainly an experience and my fancy dress wardrobe is certainly more extensive, which can only be a good thing! What would I say to someone considering rugby for the first time? I would say, why not? There really is a place for everyone. It doesn’t matter what skills you have, there’s a spot for you. It doesn’t matter what body type you have, there’s a spot for you. It doesn’t matter what your sporting background is, there is a spot for you.